Time to renew your membership for 2019! 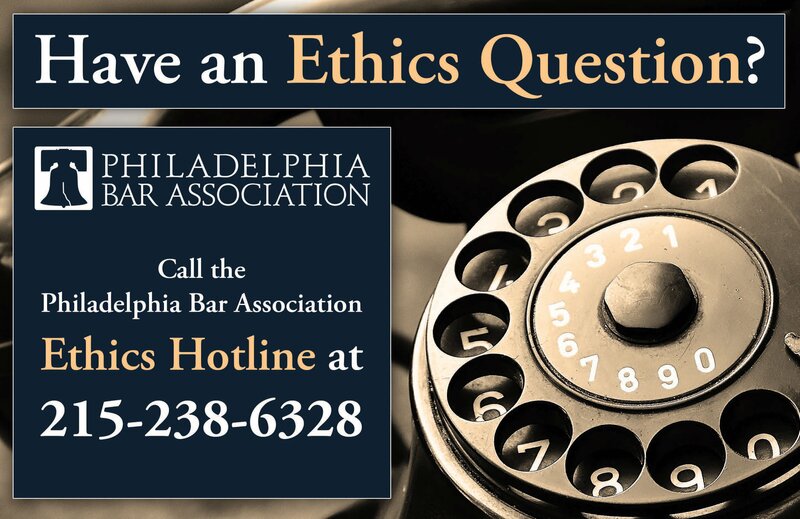 Click here and continue to take advantage of all the Philadelphia Bar Association has to offer. 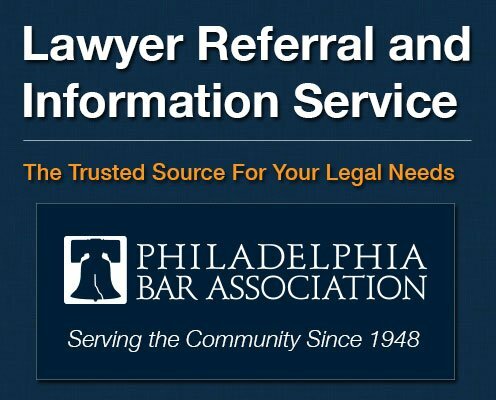 The Philadelphia Bar Association's Lawyer Referral and Information Service (LRIS) has expanded its Product Liability panels in order to better meet the needs of clients requiring assistance with injuries resulting from the use of Paxil, Reglan, Risperdal, Xarelto, Yaz, pelvic mesh or talc. If you have significant experience litigating any of these matters, we invite you to join LRIS. Attorneys wishing to receive referrals for claims involving Paxil, Reglan, Risperdal, Xarelto, Yaz, pelvic mesh or talc must represent, or have represented, at least 12 plaintiffs in civil actions involving the same product brought in the Philadelphia Court of Common Pleas and must have completed a minimum of five hours of CLE in trial tactics, products liability or class actions within the past three years. For more information on LRIS, please click here. You may also contact Charles J. Klitsch at cklitsch@philabar.org or 215-238-6326. The Philadelphia Bar Association - your partner in justice - is a statewide continuing legal education (CLE) provider in Pennsylvania, Delaware and New Jersey, as well as an accredited Pennsylvania Continuing Judicial Education (CJE) provider, offering CLE and CJE courses to lawyers, judges and members of the business and legal communities throughout the region. Tuesday, January 15, 2019 - 12:30 - 2:30 p.m. This timely video-encore CLE program will examine the cash bail system in Pennsylvania. There is a growing consensus that the cash bail system is broken, but how do we fix it? Panelists will illuminate these problems and offer guidance regarding the most promising strategies for reforming cash bail practices. Wednesday, January 16, 2019 - 12 - 2 p.m. This practical video-encore program analyzes the real-life effects of the #MeToo movement as it relates to legal and administrative processes, the impact on employment litigation and juries in particular and the new influences on employer counseling and training. Panelists will also explore trends and future developments in this current political climate. VIDEO ENCORE: Be the Judge, Be the Jury… Become an Arbitrator! Compulsory arbitration was created as a means of efficiently disposing of smaller civil cases and conserving judicial resources by requiring as a first step that such cases be tried before a panel of three local court-appointed attorneys, with the understanding that any party can later appeal the decision and obtain a new trial. Experienced practitioners offer guidance and practical strategies to successfully conduct an arbitration and serve as an arbitrator. Attend this CLE program and obtain certification to become an arbitrator! This luncheon CLE program will educate employers as to common mistakes made in the use of WCAIS, how to improve their WCAIS requests and submissions to judges to maximize the functionality of WCAIS, reduce the time spent by the judge considering the request or submission, and increase the chances of obtaining a faster answer or approval from the judge, thus ensuring that they have satisfied clients and happy judges. This practical and timely video-encore CLE examines the basics of asylum law including, what the overarching law is, the asylum process and legal standard, how to properly complete an asylum application, and the ethics of filing cases. As the Trump Administration continues to "Build the Invisible Wall" by denying immigration cases across the board, it is extremely important learn how to structure and file an appeal-and where to file, competently lodge appeals, and capably compose appellate briefs to the Board of Immigration Appeals (BIA). In his new role as Chief Judge in one of the busiest District Courts in the United States, Chief Judge Juan Sanchez will provide information of key importance in the Eastern District, including role of the judiciary, new programs being implemented, types of cases, expectations for attorneys practicing in federal courts, and challenges faced by the Court. The Editorial Board of The Philadelphia Lawyer magazine is soliciting submissions for a forthcoming issue on race and the law. The Board is looking for articles that tell stories from the perspectives of people of all colors who have encountered the law in any way. This issue is slated for spring 2019.
the Greater Philadelphia Association of Law Schools (GPALS) is proud to host this year's Public Interest/Public Service (PIPS) Career Fair at the Temple University-Center City Campus, 1515 Market St., Philadelphia, from 8 a.m.-5 p.m. This special annual event brings together law students from Drexel, Penn, Penn State & Dickinson Law, Rutgers, Temple, Villanova, and Widener Delaware & Harrisburg on one day, at one convenient location, to interview for summer internships or permanent positions with public interest employers from the across the region and beyond. For further information and/or questions, please contact Andrew Prinzivalli.